Corporate events can prove to be a deal maker or a deal breaker for any business house. Corporate events are mostly organized to increase the company’s goodwill and make better relations with various investors and big business houses. It serves as the perfect bridge to build friendly business tie ups and international networks. In the last blog we discussed about the common mistakes that should be avoided while hiring a professional catering service. 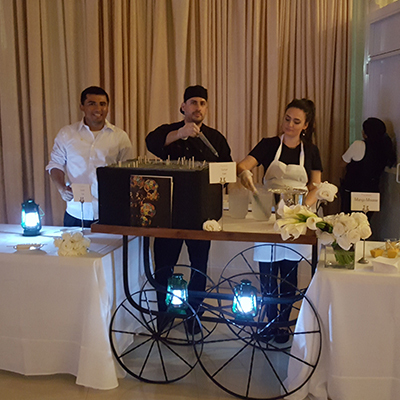 In this blog we will be discussing about the top Indian buffet themes for a corporate event in New York. It is essential to serve authentic food with great quality in a corporate event. At Benares, we prepare authentic Indian food and offer a variety of food items that you can include in your event. We are expert in organizing Indian catering for corporate events in New York. Not only corporate events, we are also the leading Indian caterers for sweet sixteen birthday parties in Long Island. Employing caterers for organizing food buffets is the simplest yet the most budget-friendly option. Delicious Indian food served piping hot increases the chances of making your corporate event a total hit. At Benares, we offer a plethora of Indian food options that you can add in the menu of your corporate event buffet and impress your business partners as well as your employees. The choice of menu plays a critical role in making your event successful. Itis important to offer variety and quality at the same time. Items included in a buffet do not have to be boring, routine, and simple. You can plan on exciting indian buffet trends for 2019 and serve your guests with the best. Below mentioned are the top Indian buffet themes in NYC corporate events. Flavours of Uttar Pradesh: Uttar Pradesh is the land of flavours. For your corporate event you can decide on a lavish food spread from Western Uttar Pradesh Your employees and business partners will be treated to a distinct style of cuisine if they belong to a different origin. Be it the tanginess of 20 different types of Kashmiri soups, or the Chef Beck’s signature dish the Sevai Tomato Kurma, they will surely be impressed by the Benaras food theme. Bengali palette: Bengali food is famous all over the world. Serve your guests with this interesting mix of cuisine and surprise them. There is a lot of variety to offer under this particular Indian food theme. South Indian style: Selecting the South Indian theme could be a refreshing choice to include in your corporate event. If you are considerate about including Indian food in the menu, South Indian style could be ideal choice. At Benares, we offer an array of food choices that you can select from for your corporate event. We curate the menu with expertise and promise to serve the best food with uncompromised quality.